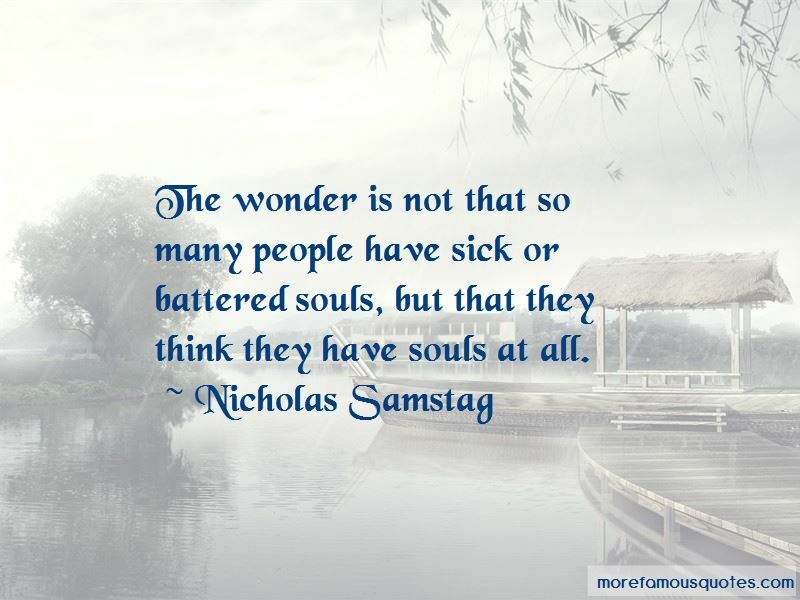 Enjoy the top 4 famous quotes, sayings and quotations by Nicholas Samstag. Our sainted aunts prate of living for others while our rich uncles call us mollycoddles for not fighting for what we want. 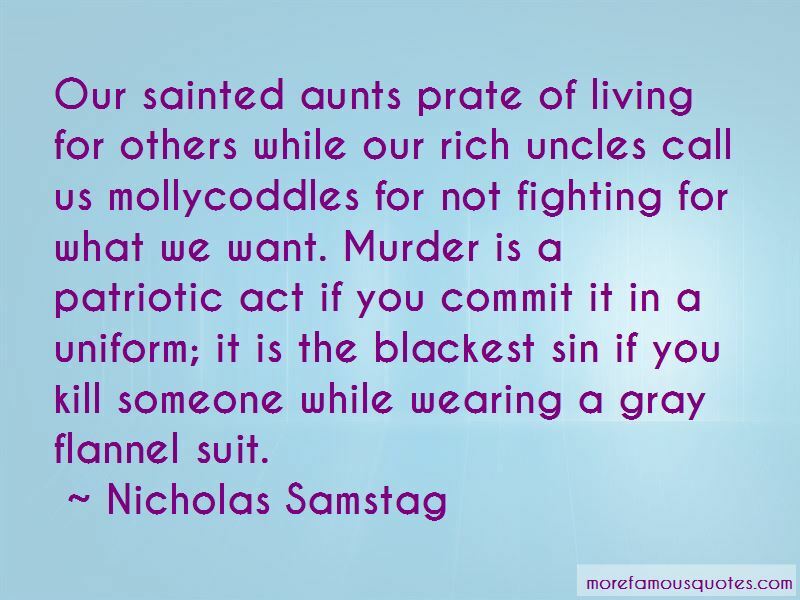 Murder is a patriotic act if you commit it in a uniform; it is the blackest sin if you kill someone while wearing a gray flannel suit. 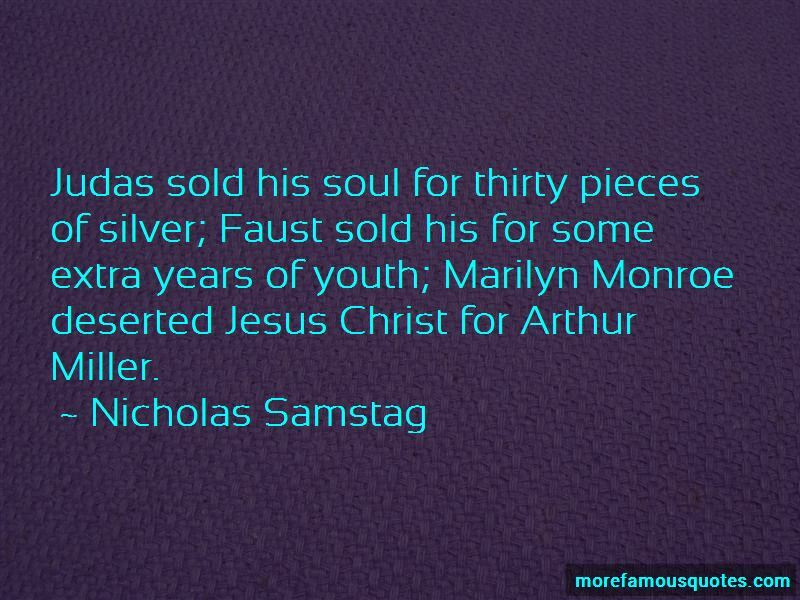 Want to see more pictures of Nicholas Samstag quotes? 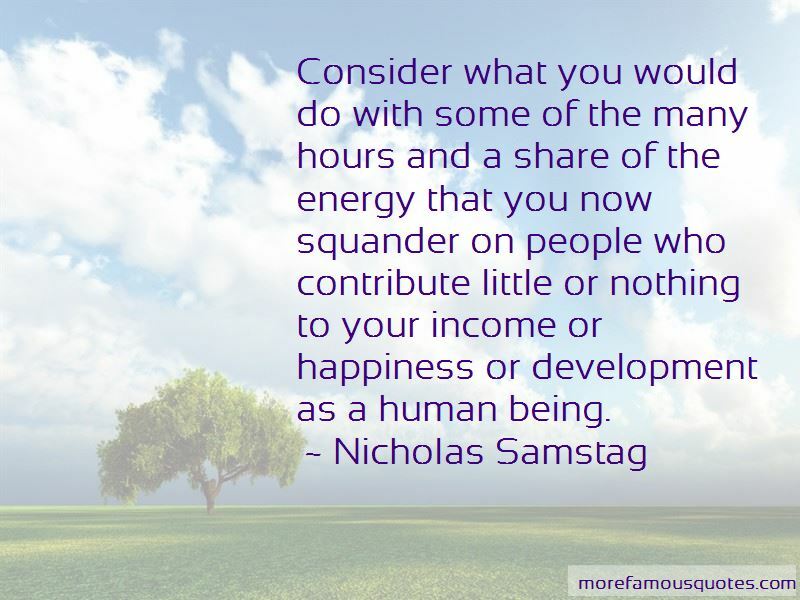 Click on image of Nicholas Samstag quotes to view full size.